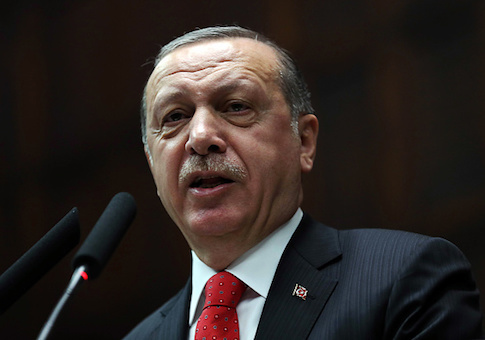 The Turkish government on Wednesday announced new tariffs on U.S. imports, ratcheting up its trade war with the U.S. the same day a local court denied an American pastor's appeal to be released from house arrest. Both actions exacerbated ongoing tensions between the NATO allies, which are in turn contributing to Turkey's currency crisis. Ankara has imposed additional tariffs on U.S. products, including rice, cars, alcohol, coal, and cosmetics, according to the decision announced in Turkey's official journal that publishes legislative and executive actions. Tariffs on American cars doubled to 120 percent while tariffs on alcoholic drinks increased to 140 percent. Turkey's Vice President Fuat Oktay reportedly said on Twitter Wednesday that the government increased the tariffs in retaliation for the "deliberate economic attacks by the United States." Meanwhile, a local court rejected an appeal by Pastor Andrew Brunson, a U.S. citizen who has lived and worked in Turkey for nearly two decades, to be released from house arrest while he is awaiting a trial for espionage and terrorism-related charges. President Erdogan jailed Brunson nearly two years ago following a military coup attempt, arguing Brunson has ties to the coup plotters. U.S. officials counter that Brunson is a scapegoat and the charges are baseless. President Donald Trump personally took part in negotiations aimed at reaching a deal to release Brunson. However, those talks have broken down over the last month. Earlier this week, White House press secretary Sarah Sanders said Trump is deeply frustrated by Turkey's refusal to release Brunson, as well other U.S. citizens. A White House official warned on Tuesday of additional economic sanctions or other pressures if Turkey continues to refuse to release Brunson. That message came a day after White House national security adviser John Bolton met with Turkish ambassador Serdar Kilic about Brunson's case. After that meeting, a White House official expressed concern that "nothing has progressed" so far in the Brunson case and said the Trump administration is "going to stay extremely firm on this." The Trump administration in early August imposed financial sanctions against two Turkish ministers and doubled steel and aluminum tariffs in attempt to pressure Turkey to release Brunson. Ankara's decision to formally retaliate against the U.S. with new tariffs came one day after Erdogan called for a national boycott of U.S. electronics, including Apple iPhones. The U.S. Congress, in its 2019 defense policy bill, which Trump signed into law on Monday, prohibited the delivery of F-35s to Turkey until the Pentagon submits an impact assessment on U.S. military operations involving Incirlik Air Base and U.S.-Turkish relations as a whole. The move comes as a tough blow to Turkey, which planned to take possession of the jets over the next decade, significantly upgrading its air force and making it the third-largest operator of F-35s in the world. The decision to bar the transfer also hinders the F-35s' manufacturing process: Turkish companies make several key parts of the jet, and the Pentagon must find new suppliers to replace those firms. The sale of the F-35s became a point of contention after Turkey decided to purchase the S-400 missile system from Russia. Turkey may be shifting toward a greater partnership with Russia following the increased tensions, as top Turkish and Russian diplomats criticized the U.S. sanctions this week. Other foreign policy experts worry that the rift could hurt cooperation between the U.S. and Turkey in its fight against the Islamic State in Syria. This entry was posted in National Security and tagged Turkey. Bookmark the permalink.